It's just before dawn on the South China Sea when three experienced pirates open fire on a small smuggling yacht. Their target: a bag of uncut sapphires worth millions. But when one of them stumbles across an enormous treasure that wasn't on the manifest, everything goes sideways. Within minutes two of them are dead, leaving the third, a coldblooded psychopath, to claim both the sapphires and the mysterious windfall for himself. If he disappears, he won't just be wealthy. He'll have the power to change the course of history. His boss, Angela, isn't about to let that happen. She calls in a favor from her onetime protege: a fixer sometimes known as Jack, or more often as simply the Ghostman. Within hours he's flying halfway around the world to find her in the glimmering neon slums of Macau. Jack has no real name, no address and no fingerprints but given the right motivation, he can make serious problems vanish. Though the two haven't talked since they botched a job six years ago, as soon as Jack's off the plane they're back together again, facing down a crime boss, a hit man and a conspiracy bigger than anything they've ever encountered and more dangerous than they could've imagined. 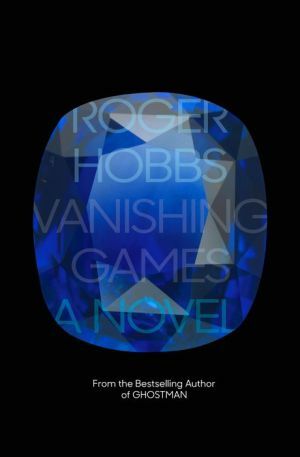 Their partnership between people with no lasting relationships whatsoever is at the very heart of a novel that will cement Roger Hobbs's status as one of our most talented crime writers.